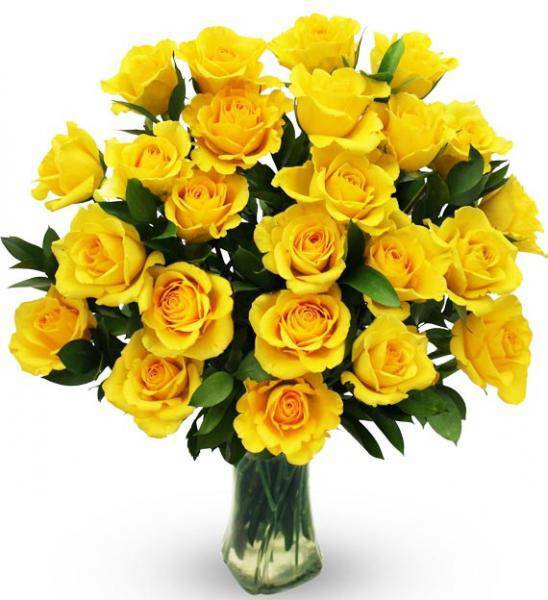 Sunny and vibrant, two dozen long stem yellow roses will brighten anyone's day. Perfect for birthday, anniversary or get well wishes, the exquisite roses will arrive the next day from our farm-fresh facility beautifully presented in a custom floral box. A lovely glass vase is included.